So WHAT WAS IN THE BOX?! 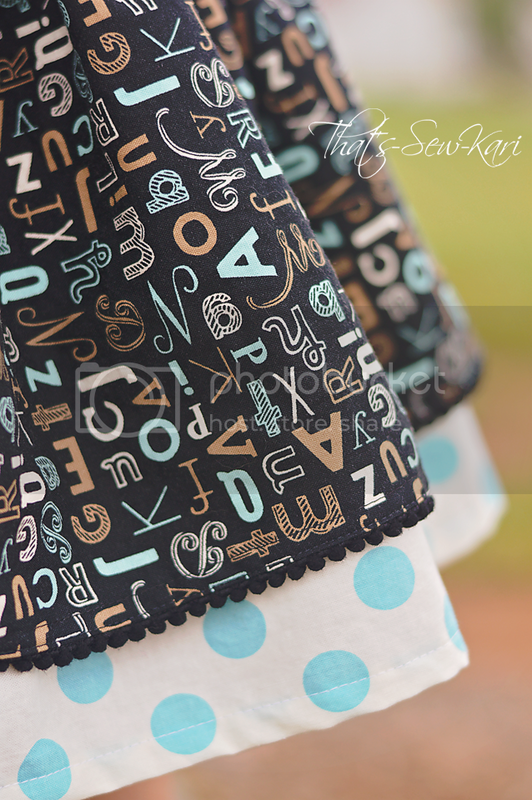 *This month featured a yard of coordinating fabric in lieu of a sewing pattern. So WHAT DID I MAKE?! I had so many ideas for this fabric that it was hard to narrow down what would actually be on my cutting table. I have 2 girls, 3 & 5, who are both in school so I wanted something school-friendly and something that they could share (in case I can't squeak something else out of my leftovers). Despite their 2-yr age difference, they are just a few pounds and a couple inches different in size. I decided to try out my Little Lizard King Peek-a-Boo Skirt pattern that I had won in Thursday Night Trivia. 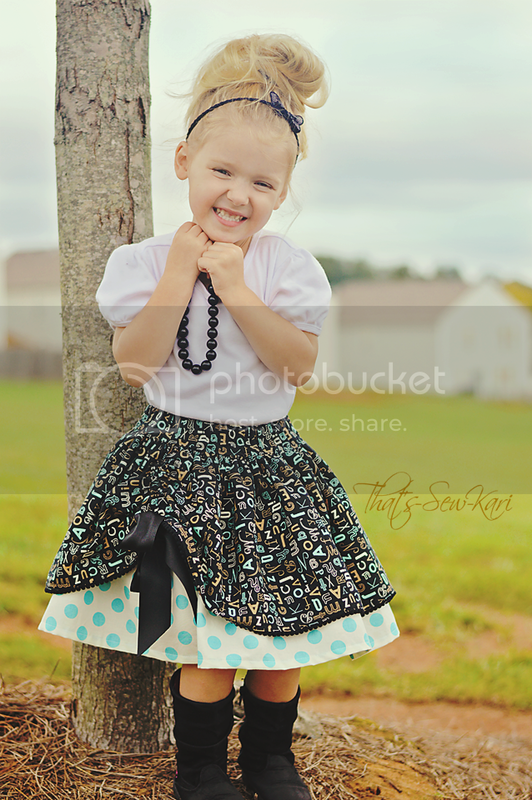 My girls LOVE skirts so this is right up their alley. The mini pom trim gives just the right amount of detail to the hem of the top skirt. I absolutely adore the fabric that came this month. Not only do my girls love pointing out the letters, the colors are some of my favorites! Oh, and the cuts included are generous -- measuring out at 37" after washing/drying! 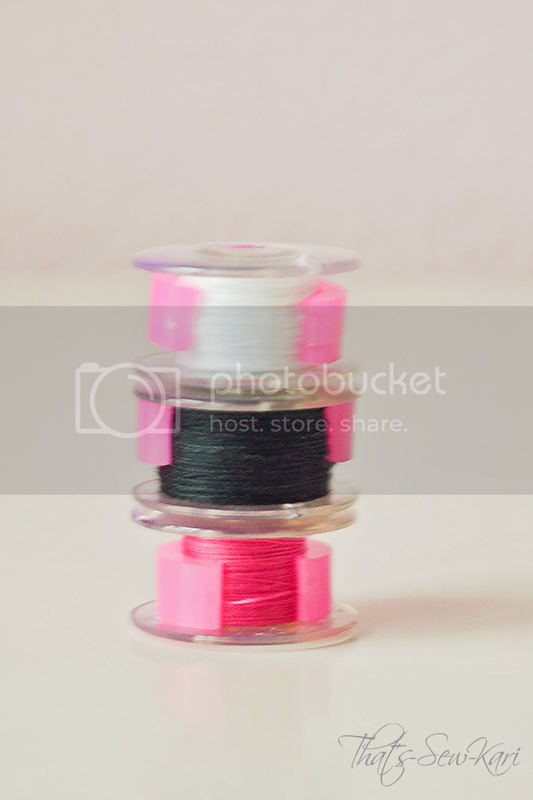 And, I'm not sure how SBM knew, but Bobbin Buddies have been much-needed to help tame some of the chaos that I call my pile of bobbins on my sewing desk. Just what my bobbins needed!!! A little taming. The only thing I haven't put to use is the Gutermann Thread. I didn't want to waste my "good stuff" on my inside seams (I'm pretty sure some of you may have just gasped at that statement) and I'm a little OCD about my topstitching threads matching the majority of the (printed) fabric so I opted for white thread on the Riley Blake dots and black thread on the Moda Elementary. 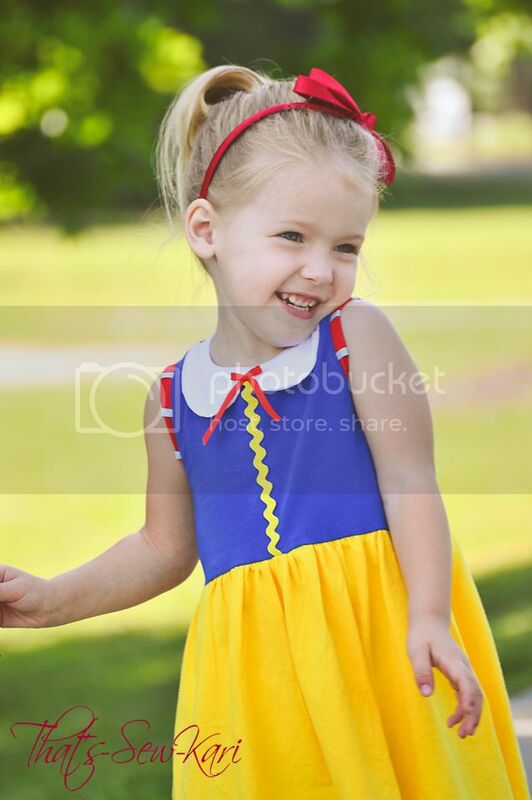 My 3 yr old will be wearing this for Preschool pictures next week and I think I have enough fabric left to make an Everyday Play Skirt by Little Lizard King as well! So HOW DO YOU GET THE BOX?! 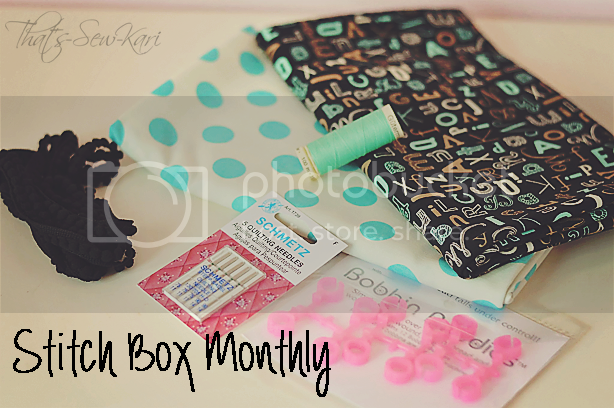 Signing up for Stitch Box Monthly is easy! Wait by your mailbox for your surprises! Thanks, Stitch Box Monthly --- I had SEW much fun!! 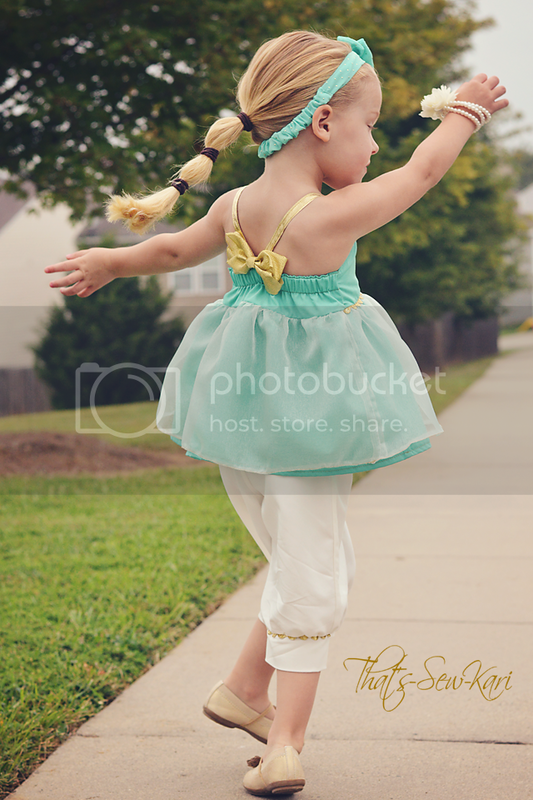 Bowtique Emilee: Shop Review and Giveaway! 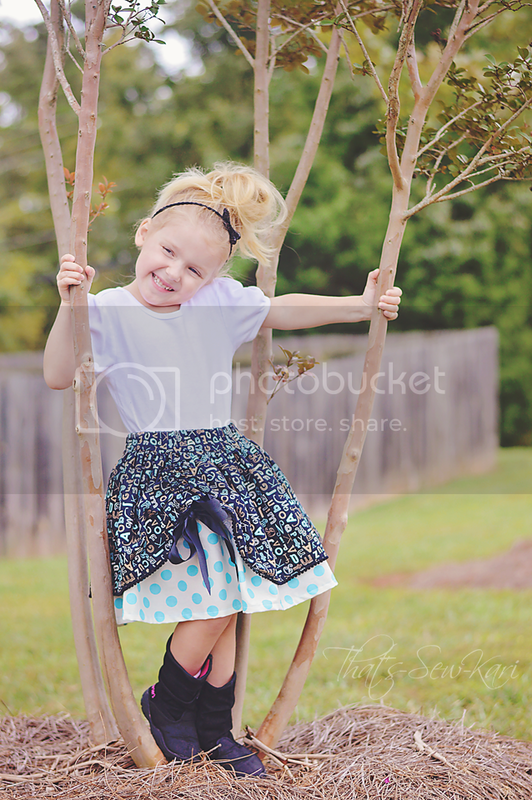 Outfit: Serendipity Collection by Sewlosophy Pattern Co. Eeeks!! 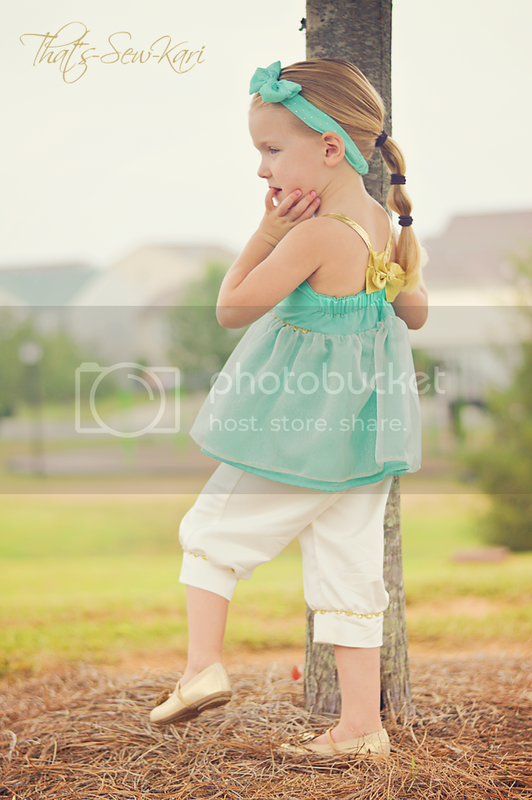 I am so excited to share my review of the shop, Bowtique Emilee (and great giveaway!) with you today. If you've spent any time in the sewing -or- boutique world, you know that headbands are the must-have accessory to complete the perfect outfit. Paying for a custom-made headband can get kind of pricey, but..... have you ever made one? They are super simple. 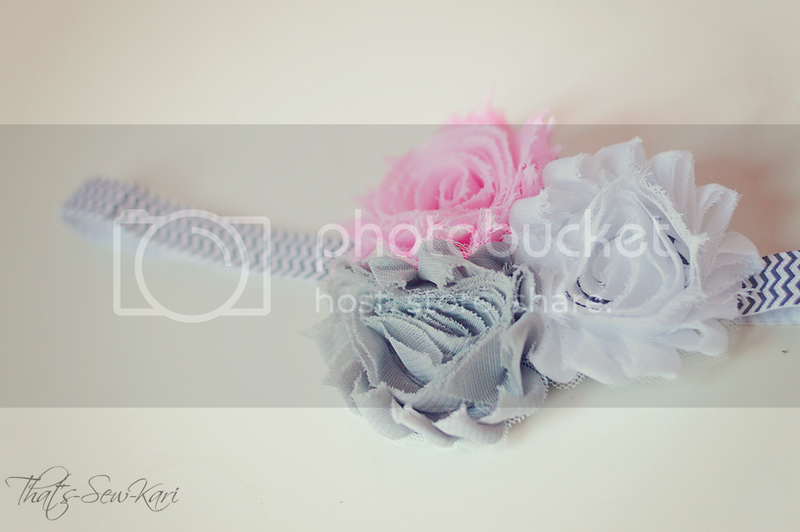 Seriously, this was my first "boutique style" headband I've made. And it certainly won't be my last! 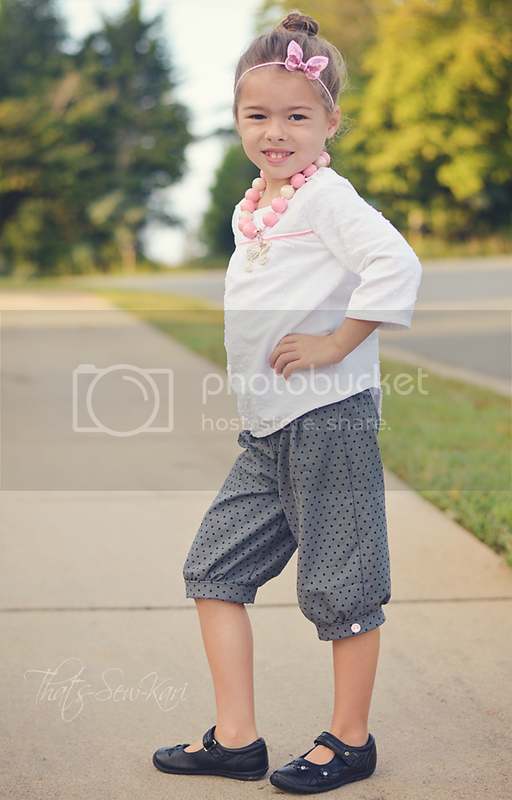 When I first heard I was chosen by Bowtique Emilee for a blog review, I thought of what outfit I'd like it to match. Of course, I hadn't sewn the outfit yet, but that's what people do right? They sew entire outfits to match a new headband?! Oh, wait, it's just me. Lucky for one of you (who will win!) I couldn't decide which headband I'd like to make so Bowtique Emilee was awesome enough to send BOTH and offered to giveaway supplies to make BOTH!! How will I choose my selections?!?! I said above, this was my first time making headbands. I never really attempted before because, well, I'd seen the prices per flower at Hobby Lobby and the like and my budget was already being spent over in fabric faster than I could sew...haha So when I went browsing on Bowtique Emilee, my first reaction was "WOW, I love these prices!" And then I may have carted (and paid for) about 50 items before I messaged the owner back about which selections I'd like for the review. Seriously, I think I paid around $19ish for 50 pieces (assortment of flowers, sequin bows and elastic) including shipping. I'm about to place a second order because I realized sometimes I need more than one of the same color. The quality is great, the selection is immense (seriously carve out at least an hour or two to browse) and shipping is fast!! Your selections will come packaged in a clear plastic bag inside of a pretty pink poly mailer. 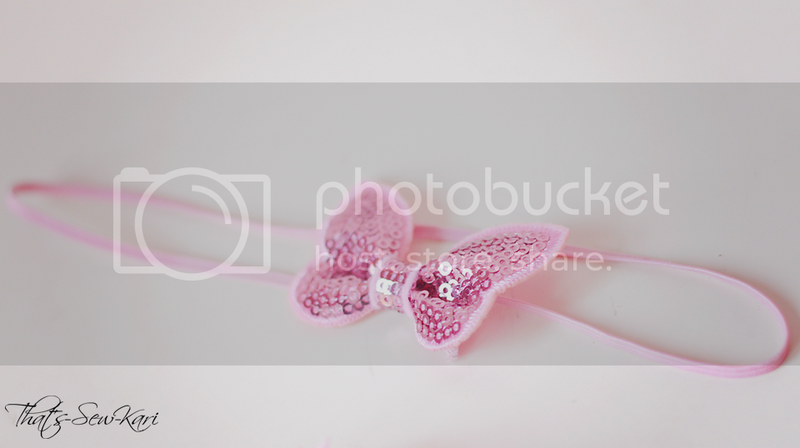 This gorgeous sequined butterfly bow ($0,50/bow) stole my heart from the beginning. 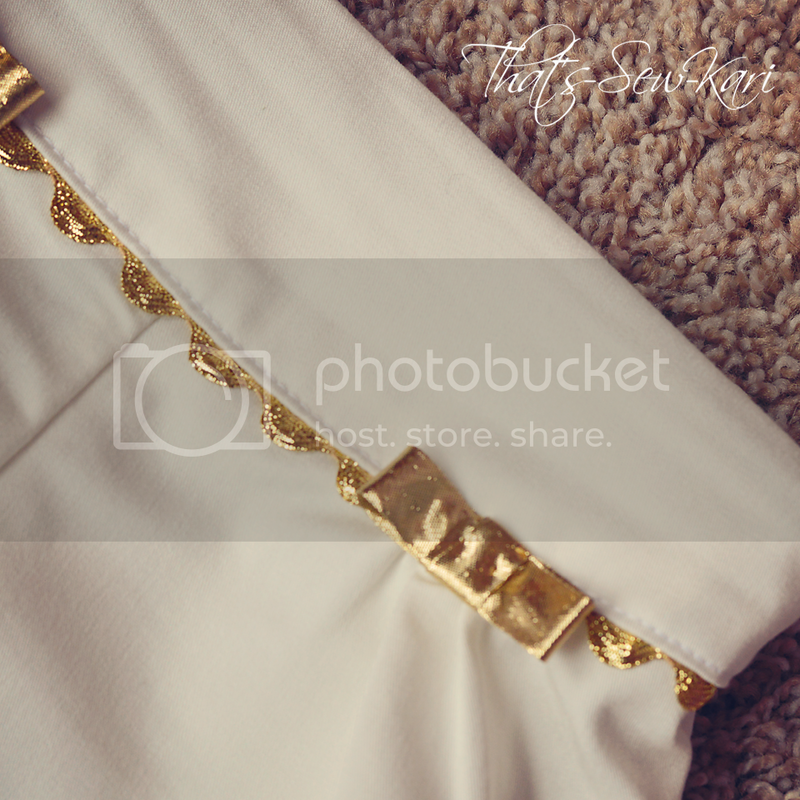 I love the simplicity of it with the matching skinny elastic (1/8")($0.50/yd) --- Total cost: $1.00 + shipping. 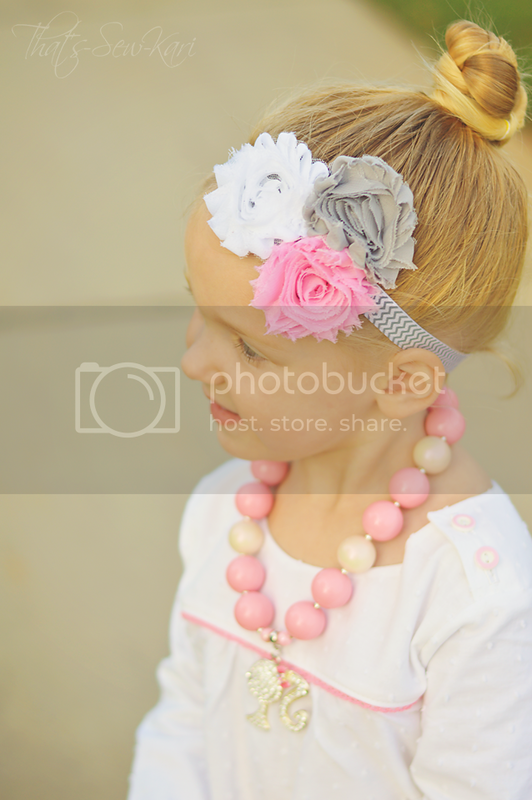 Of course, you only use about half of the yard of elastic per headband which lowers the cost of each headband even more! 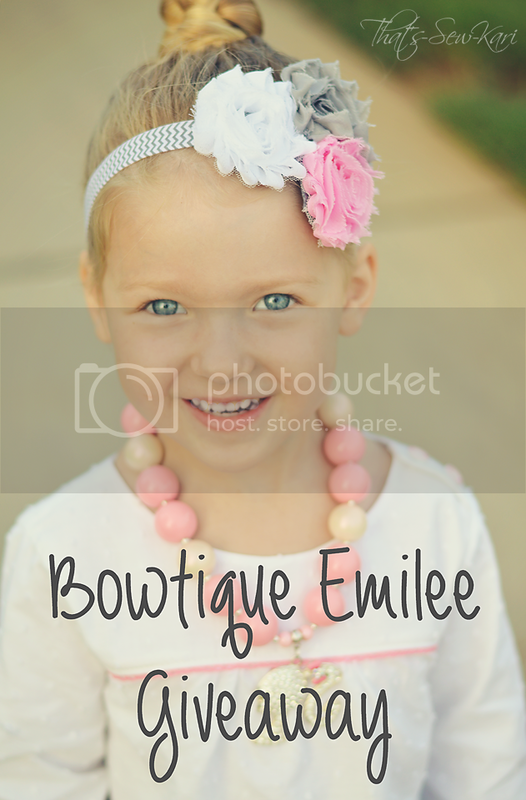 Thanks Bowtique Emilee for allowing me to review your shop!! You'll be seeing my name come through your order list again real soon! 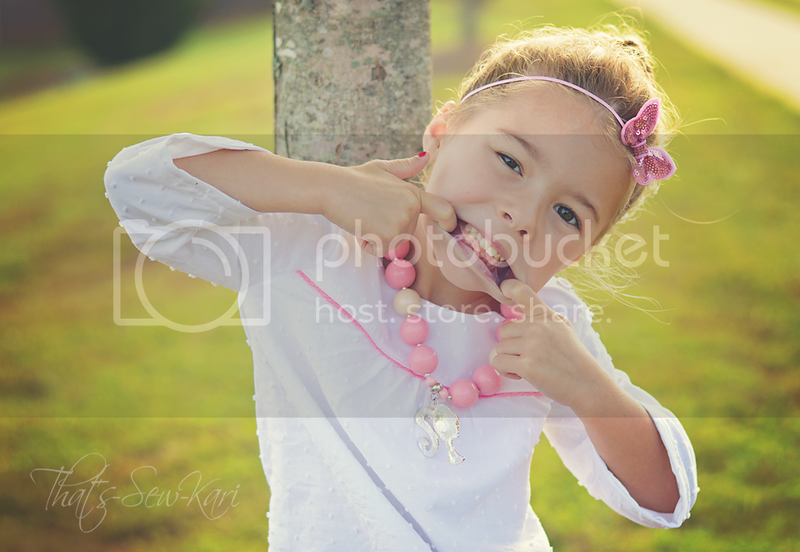 My daughters LOVE to play dress up. The Disney Princesses are a family favorite. In fact, everywhere I turn in my house, there is something princess-y. My girls have nearly every Princess dress (either handmade or Disney... or gasp, knock-off) but they are rarely worn outside of our palace house. The handmade ones are far too poofy to safely buckle them into their carseats and the store-bought ones are a weird polyester(?) that is sweltering hot in this weather. Luckily, Amy & Tasha of Friends Stitched Together, and Maegan & Karen of of Mae&K have an answer for my girls' dreams of dressing up as Princesses OUTSIDE of our house! As soon as I saw details for CraftingCon, I was hoping I'd be lucky enough to be a contestant! The premise of CraftingCon is to show of our inner geek (in my case, Princess Geek) while creating a wearable, everyday outfit for our child. 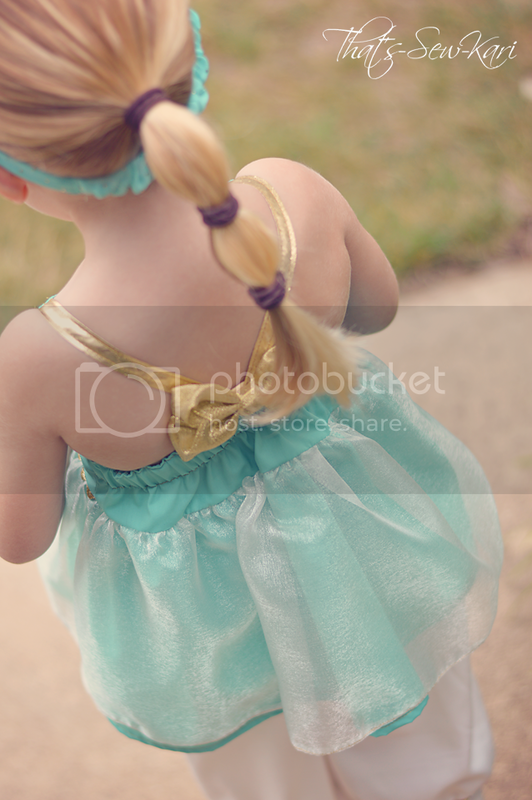 One Princess my girls have nothing of, but absolutely love, is Jasmine. She doesn't get a lot of shelf space and is often overshadowed by Cinderella, Belle, Snow White and others. I set out to change that. 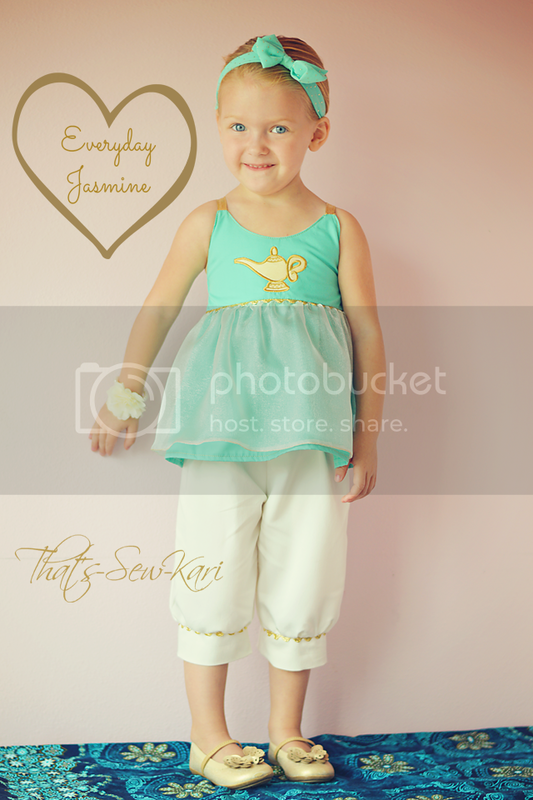 I wanted to keep some elements true to Jasmine, such as the billowy pants and gold accents, but make it child-friendly enough that she could slide down a slide, go grocery shopping and PROPERLY be buckled into her carseat. 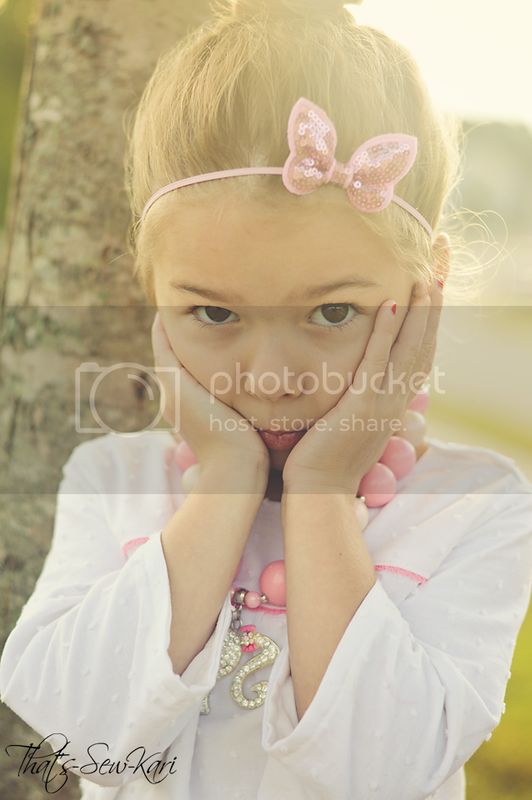 Of course, I also wanted it be something my 3 yr old could put on completely by herself without any help. To achieve my goals, I used the Hummingbird by Rabbit Rabbit Creations, Serendipity Trousers by Sewlosohpy, and Magic Genie Applique by Frou Frou by Heather Sue (and a whole lot of gold ric rac and bias tape). You can read my full details (fabric choices and pattern modifications) over at my contest submission for CraftingCon. I've got one happy little girl!! Of course, Jasmine's best pal, Rajah is often seen by her side. Good thing my neighbor's cat was out and about! 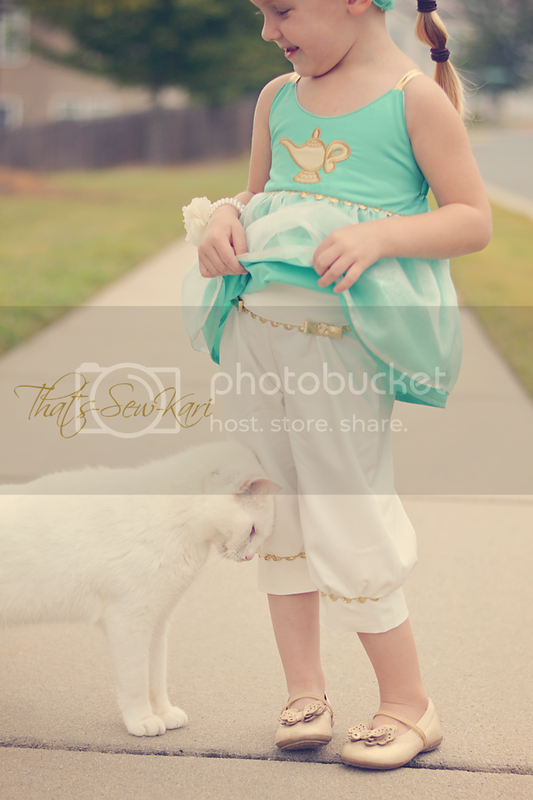 "Butter" seriously showed up randomly at the start of our photoshoot! 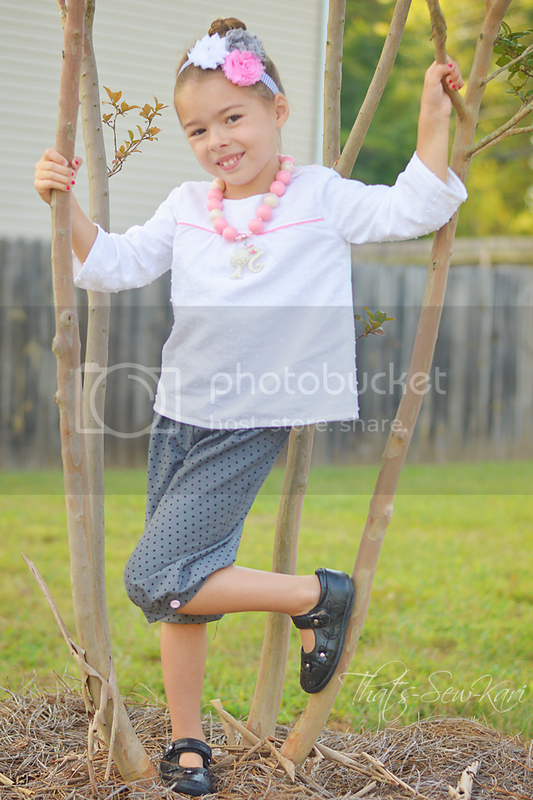 Of course, my 5 year old wants to know where her Jasmine outfit is.... now to make it school dress-code friendly! I wonder what other Princesses I'll also tackle this fall. I can't wait to see what the other contestants come up with! P.S. Remember my Summer Snow White I made for the CraftingCon Kickoff Blog Tour? This gets worn ALL.THE.TIME. Read about it HERE!